The companies and their brands have bridged the gap which once existed between them and their customers. Now they can directly reach out and speak, to honor their values, and to form meaningful relationships with them.  But this is only possible if they build one such community which aims to depict the values their customer community expects in exchange for their loyalty and purchases. Membership is one of the precursors to a lot of social action. You might have heard people saying that membership sites are a way to grow your community while increasing your income at the same time. But let’s think differently beyond financial statistics and care solely about interacting with people online and building vast communities. Unfortunately, creating a WordPress membership site with plugins was a snappy process till last year in January when the Ultimate Member (UM) plugin was launched. It is not just an ordinary membership plugin of its kind. Instead, it helps you build member-based communities, customize member directories, add custom user roles and custom signup forms. There is a lot more to this plugin, though I intend to review its essential features only. If you happen to scroll through the WordPress plugin repository, then you’ll find over 400 such plugins. But most of them give you ugly looking payment forms, poorly managed member profiles, no control over menus, etc. If I talk about the traits of an effective membership-based WordPress website, then it requires proper login forms, front-end registration or user profile pages just as we find on Facebook. There should be extensive user roles and permissions, unlike the default WordPress architecture which allows adding only a few roles like subscriber, editor, etc. Finally, a user must enjoy an advanced control over everything he views. The characteristics mentioned above were the reason why Calum Allison(@calumallison – the man behind UM created) decided to create an all-in-one plugin for this very purpose. 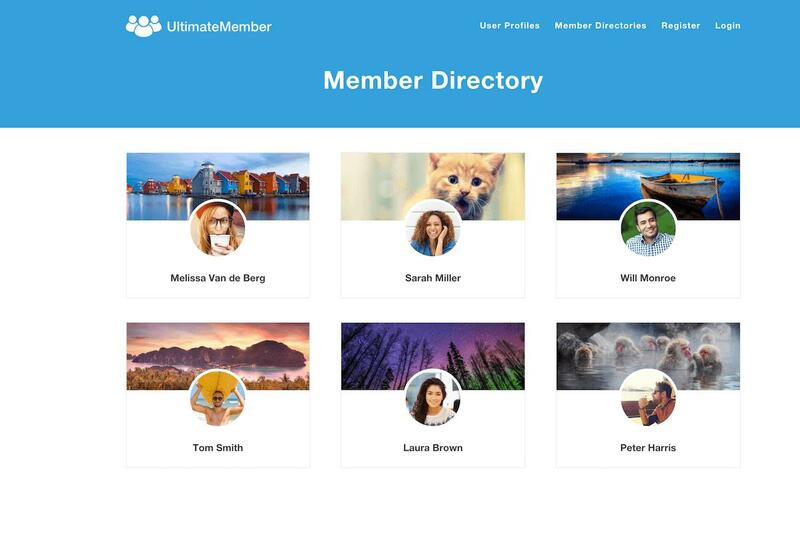 So basically, Ultimate Member plugin caters both the needs of an online community and member directories. 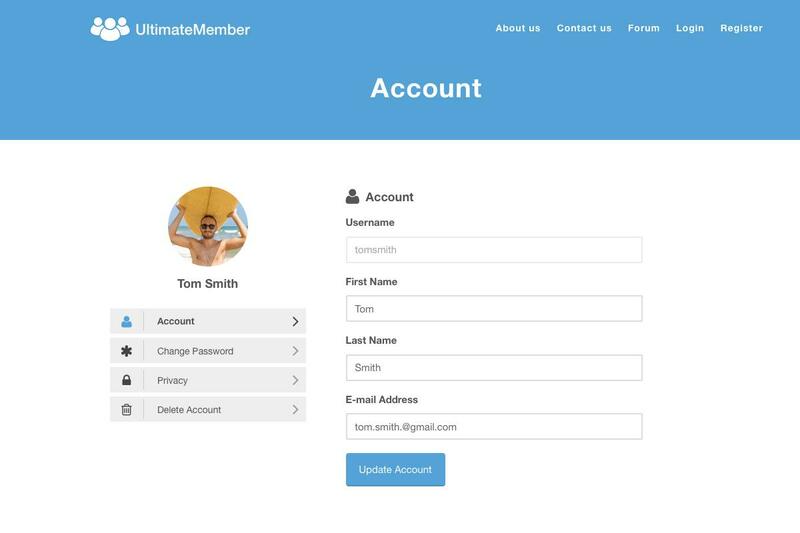 Ultimate Member is quite a handy and intuitive plugin which allows you to create sites where users can sign-up and become members. Despite being a feature-rich plugin, it is still very lightweight and user-friendly. At this point, it will be quite unfair if I miss mentioning the bulk of features which the UM delivers. Though I can create a dot list and mention all the features of this plugin, but I’ll keep my focus on the key benefits which UM offers: Front-end user registration and login; Front-end user profiles and account page; Registration forms; Drag n drop form builders; User profile styles; Membership directories; Additional user fields; and a lot more. The list of bulk features isn’t over yet. 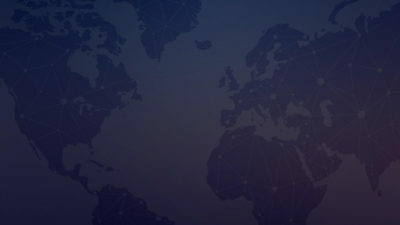 UM itself is a complete package and offers all the necessary feature-set required to build a community-based website. However, there is an entire range of paid extensions which integrates well the plugin’s default functionality. Social logins: Users can register & login via social sites like Facebook, Twitter, etc. It is said that when you invest your time in something you want to accomplish, you achieve it no matter it is getting good grades, be a good athlete or something amazing like the Ultimate Member plugin. Overall UM can be the right choice for you to build anything you want. For example, create a friendship site; a professional job portal for employees and applicants; or even an education portal for students and teachers. 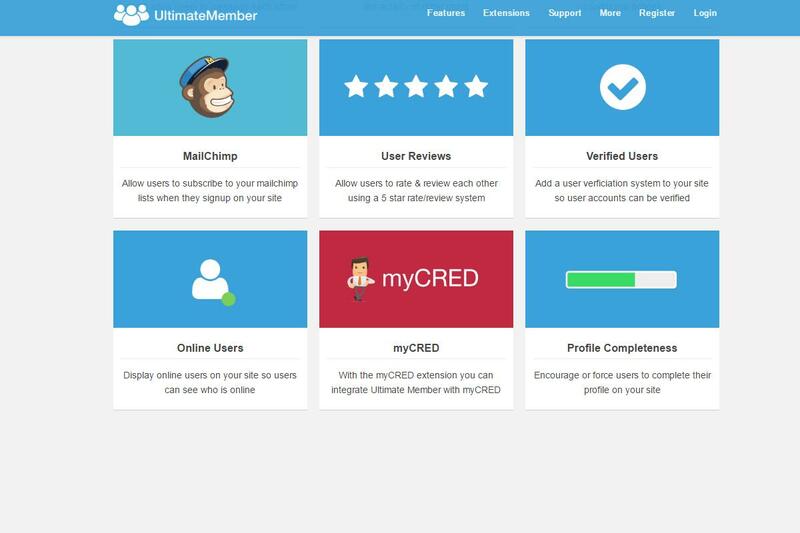 All this can be done with Ultimate Member plugin and its paid extensions. 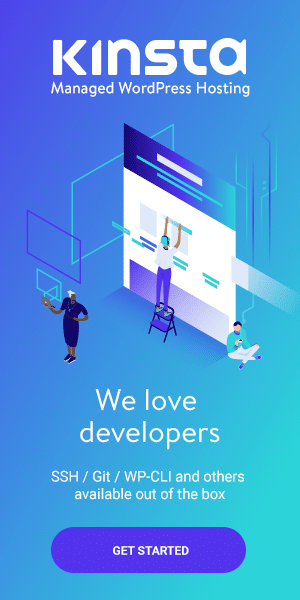 On top of this, you need a reliable hosting provider for building communities, and I recommend WP Engine for this very purpose. 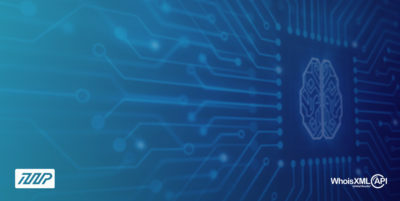 They offer 100% uptime and some fantastic hosting services which you should watch out. Currently, the plugin enjoys more than 30,000 active installs, and the pace with which it is progressing is pretty amazing.  So if you’re looking to add community like features to your site, then Ultimate Member is the plugin for you.